I love the A to Z challenge, but I feel I don't put in enough effort to visit other blogs so I took about 3 hours last night visiting other blogs and leaving comments. Okay, now for G for Geometry! Can kids know about Geometry? They sure can! They can learn about 2D shapes and 3D figures, along with terms about angles, lines, curves, and vertices. One of the fun things I love about teaching kids (especially little ones) is that they think it is fun to learn stuff (especially if you tell them that they probably won't be taught it until they are in 5th grade, or better yet--high school). 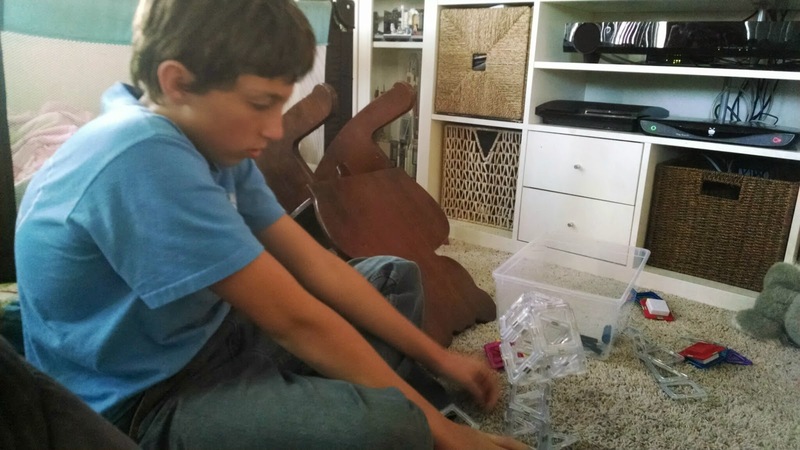 Geometry can be fun to teach your kids. As they discover shapes and angles talk about the details of them. Your kids may surprise you with what they know and how they think about things already. 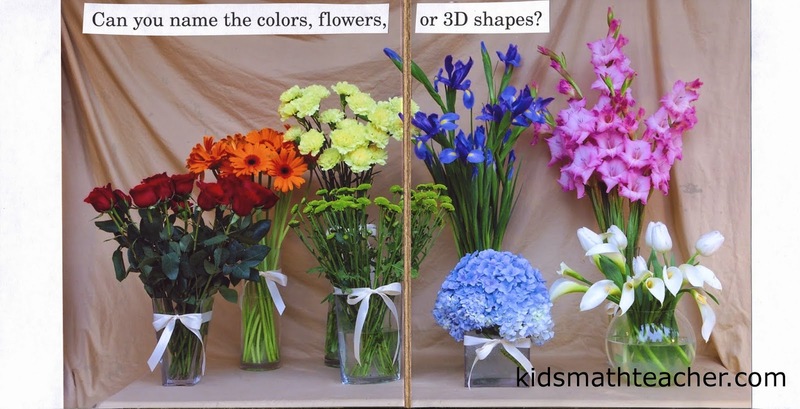 I have a board book that I made that introduces 3D shapes with flowers in their vases (and the vases are the 3D figure). So far people have said it is way too advanced for toddlers, but I still think it wouldn't hurt to expose children to new things and identify more complicated shapes to their ever-growing vocabulary. What do you think? Absolutely- students can be introduced to geometry early on. I think math terms should be used when introducing students to math concepts. In that way it becomes part of their vocabulary and isn't foreign to them when they it is time to learn the concept. The Magformers look neat, I had never seen them before. The attitudes to Maths in primary level here in Ireland makes me want to cry, I won't lie and say I loved it in school or at least not in secondary (highschool) but primary I enjoyed it, I loved the active elements. Thanks for the inspiration to keep trying, I'll be back for more ideas!! Looks like an interesting product!